Hosta ‘Summer Joy’ is a relatively new hosta for me, and I started with a small tissue culture last summer, so the plant is still not very large. In spring and early summer, Summer Joy’s leaf centers are the bright yellow shown in these photographs. As summer progresses, the yellow becomes more creamy. The green margins are blue-green mixed with lime-green. I don’t remember if Summer Joy blossomed last year or not, but I have read that this hosta does not set seed, so I am eager to see what happens in the future with this one. Oddly, in early spring Summer Joy looks almost identical to Great Expectations, and the first year I wondered if it had been labeled incorrectly. 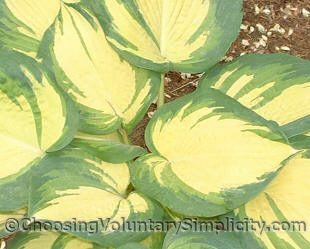 It is only as the summer progresses that Summer Joy’s coloration changes so the two hostas do not look at all alike. Summer Joy was my very first hosta. It was a house warming gift from a neighbor when we moved into our new house. I had never like hostas but this one was so pretty it has completely changed my attitude and I am going to add more hostas another year. Your not alone. I have both summer joy and great expectations and for a few weeks in April or thereabouts they do look exactly alike. Then they change so much that I sometimes wonder if I just imagined that they looked the same, so it was a relief to hear someone else saying and thinking the same thing. Love your blog! What gorgeous yellow color! I need to find this one somewhere. 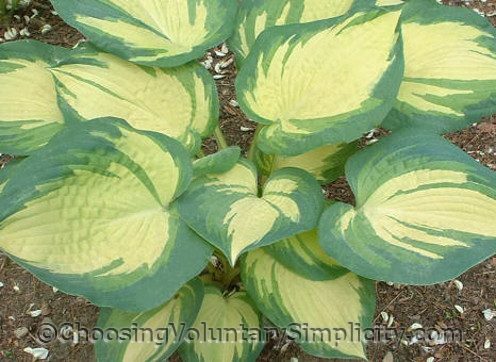 I’m partial to the 2 toned hostas with yellow and have a collection of them. Not too many, I’m just starting out, but they look really pretty all together. Your hostas are beautiful. 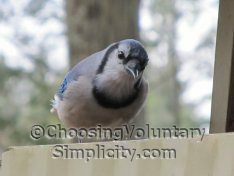 Love this site!